Week 13 of the NFL kicks off the “My Cause, My Cleats” campaign. During the games this week, participating players wear cleats designed around a cause that is important to them. 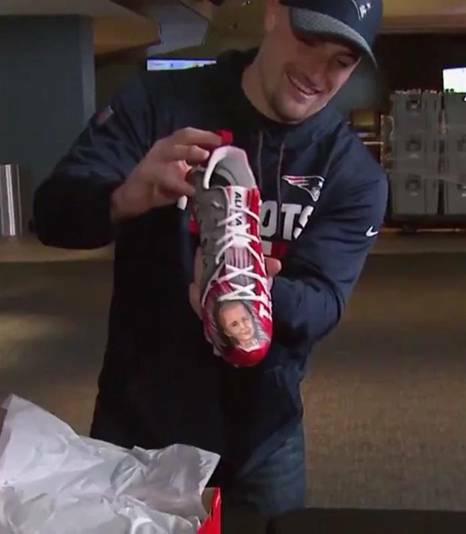 For the second year in a row, Rex Burkhead, now a New England Patriot, will be wearing cleats to show his support for the Team Jack Foundation and to bring national awareness to pediatric brain cancer. On Rex’s left foot is Jack’s picture from 6-years ago. This 6-year-old boy and his favorite University of Nebraska running back spent a day together in the Fall of 2011. They ate lunch, toured the football facility, and even raced on the field. As a 6-year-old little boy, Jack always looked up to Rex, and as seen on the cleats, Jack will still be “looking up” to him this Sunday. On Rex’s right foot, is a picture of now 12-year-old Jack today. After six years, Rex still wears the red “Team Jack Pray” bracelet that Jack gave him the first time they met, as he plays for the New England Patriots. Today, Rex sits on the Board of Directors of the Team Jack Foundation and plans an annual Team Jack Trifecta event in his hometown of Plano, TX raising money and awareness for pediatric brain cancer. Last year, the inaugural Tri-fecta raised over $40,000 for the Foundation. The cleats were designed by Joe V Designs in Ludlow, Massachusetts. The design inspiration came from the video of little Jack, running the 69-yard touchdown in the 2013 Husker spring game. “My team and I hope that the cleats bring much needed awareness for the disease. It was all about giving back and we could not be happier to be part of it,” said Joe Ventura. 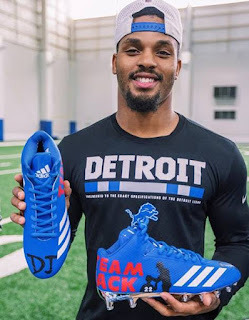 The cleats were officially “unboxed” on Monday, November 27, but Jack was able to see the cleats before anyone else. Joe and his team sent the cleats to Jack to autograph as a surprise for Rex. “I thought they were awesome!” says Jack Hoffman. Burkhead’s cleats will be featured on the NFL auction site (www.nflauction.nfl.com) where all proceeds will benefit the Team Jack Foundation. Donovan James Miles Jr., “DJ” was a few months shy of 2 years old when he came to a Huskers practice during the 2012 season with his grandfather, Steve Reddick. D.J. and formed an unforgettable bond with Abdullah. When meeting Abdullah, DJ had already undergone surgery and chemotherapy. DJ’s prognosis was not good, and he passed from brain cancer in September 2014. But, Abdullah continues to honor DJ’s memory year after year. In addition, he continues to support the Team Jack Foundation and their mission to fight a cure and better treatments for the disease. Tune in on Sunday as the New England Patriots take on the Buffalo Bills and the Detroit Lions take on the Baltimore Ravens in week 13 of the NFL to see Burkhead and Abdullah sport their customized Team Jack Foundation cleats and bring national awareness to pediatric brain cancer. We knew he’d be better, but to this extent? It’s our weekly theme post day with the rest of our SB Nation football brethren, and this week’s theme is something that we didn’t expect from our favorite team. While there are a lot of things that have been surprising about this team in 2017, I think there’s one particular player that stands out in that regard. Going into the 2017 offseason, everyone knew that the Minnesota Vikings needed to do something. . .anything. . .to fix the offensive line. While there were some big names available in free agency, such as Andrew Whitworth and Ricky Wagner, Rick Spielman and company set their sights on former Detroit Lions’ offensive tackle Riley Reiff, signing him to a huge five-year contract. And the crowd went mild. Reiff wasn’t a “big” name. Heck, in his last year in Detroit he didn’t even play left tackle. He had been displaced to the right side by rookie Taylor Decker, and the Lions thought it was in their best interests to turn him loose. The Vikings signed him, and announced that he would be their starting left tackle. 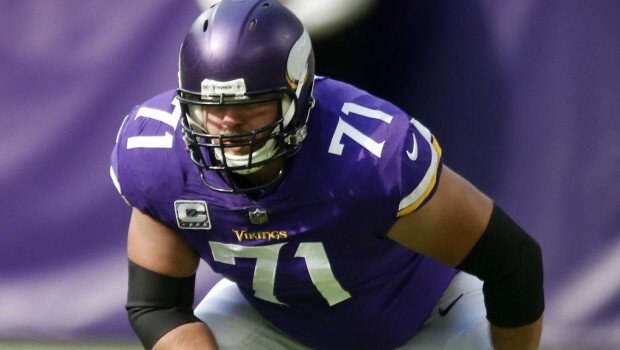 After a season where the combination of Matt Kalil, T.J. Clemmings, and Jake Long offered just slightly more resistance to opposing defenders than wet tissue paper, I think that people expected Reiff to be an upgrade at the left tackle spot. But I’m relatively certain that nobody expect the upgrade to be this huge. We are through eleven games of the 2017 regular season, and Reiff has still not been credited as having given up a quarterback sack. The entire offensive line, for the season, has allowed twelve, but Reiff’s protection of Case Keenum’s blindside has been a huge part of why this offensive line is performing at a level far beyond what we could have expected after last season’s debacle. Reiff has also made his presence felt in the run game, too, bolstering a rushing attack that was the worst in the NFL in 2016. 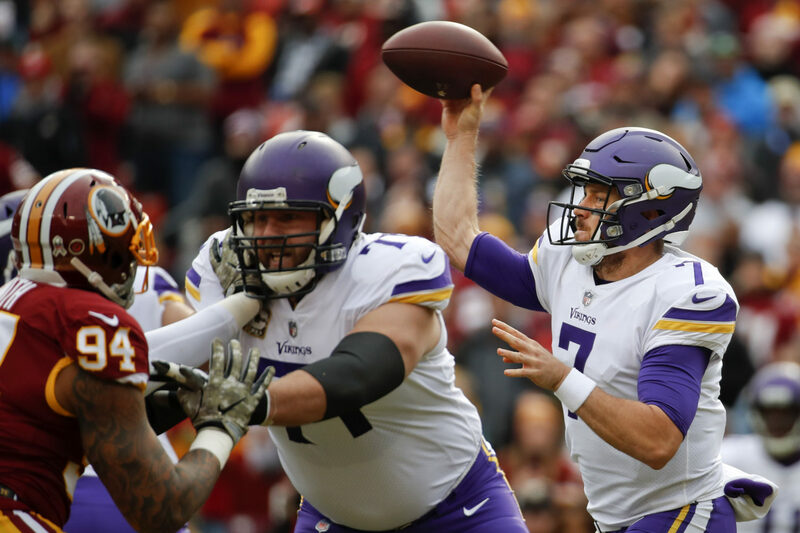 Even with the absence of star rookie Dalvin Cook, the Vikings’ run offense hasn’t missed a beat, and the performance of Latavius Murray and Jerick McKinnon thus far can be attributed to Reiff and the rest of the offensive line. Reiff is clearly one of the leaders on this team, and he’s even more clearly the leader of this offensive line. As I said earlier, I know that most of us were expecting Reiff to be an improvement over what the team had at left tackle last season, if only because it would have been damn near impossible not to be. But I think I can quite safely say that he has exceeded everyone’s expectations, and is as much of a reason as anyone else for this team currently being at 9-2 and fighting for home field advantage in the NFC playoffs. The Cardinals wouldn’t have had a chance to win last Sunday’s game against the Jaguars in regulation if not for a curious coaching decision by Jaguars head coach Doug Marrone, but they still needed someone to make good on that opportunity. Enter kicker Phil Dawson. After a couple of completions by Blaine Gabbert, Dawson trotted on the field for a 57-yard field goal try on the final play of the fourth quarter. Dawson knocked it home, giving the Cardinals a 27-24 win and giving himself a new career-long field goal. It was Dawson’s fourth field goal of the day and that performance was enough for the league to name him the NFC’s special teams player of the week. Dawson has now won weekly special teams honors with three different teams over the course of a career that began as a member of the rebooted Browns in 1999. FOXBORO — When it comes to special teams, the Patriots have few peers in the NFL this season — which is the norm under the guidance of coach Bill Belichick. 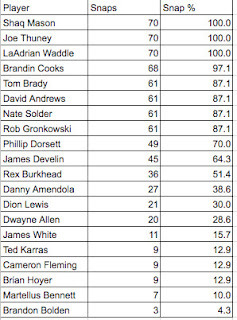 Dion Lewis ranks third in the league in kick returns, Danny Amendola is 11th in punt returns, and the punt and kickoff coverage units check in fifth and sixth, respectively. Stephen Gostkowski has kicked three field goals of 50-plus yards and Cassius Marsh and Lawrence Guy both blocked field goals. But the Patriots absorbed a big blow when Nate Ebner suffered a season-ending knee injury in Sunday’s win over the Miami Dolphins, a game in which fellow core special-teamer Trevor Reilly left with a concussion. Ebner was a second-team All-Pro selection last season after leading the league in special-teams tackles. He currently leads the team with eight tackles despite missing nearly three full games. And, don’t forget, special-teams captain Matthew Slater has missed six games with a nagging hamstring injury. 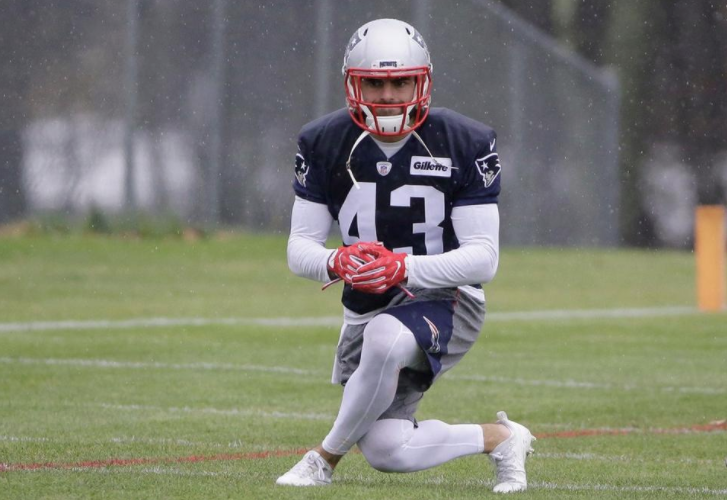 Still, the Patriots have outstanding depth in the third phase of the game with the likes of Marquis Flowers, Johnson Bademosi, Jacob Hollister, Rex Burkhead, Brandon Bolden, Brandon King and Jordan Richards. And you can add linebacker Nicholas Grigsby, who was signed on Tuesday, to the list. Phil Dawson, kicker, Arizona. His 57-yard field goal with 11 seconds left beat Jacksonville 27-24, and from the look of the kick, it could have been a 65-yarder. Great day all around for Dawson, who hit 34-, 42- and 48-yard field goals as well in the upset win. FOXBOROUGH, Mass. 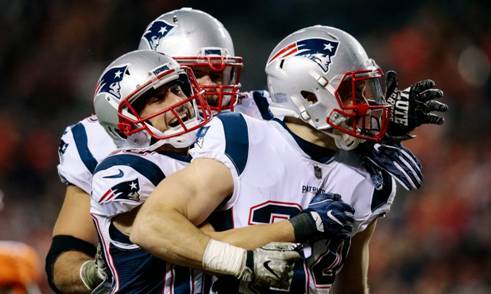 – Not even a full minute had gone by, and the New England Patriots found themselves facing fourth-and-8 from deep in their own territory. It didn’t look like it to anyone else, but Patriots coach Bill Belichick saw that play from the 27 with 14:12 left in the first quarter as a crucial point of the game. He called for a fake punt. Upback Nate Ebner took the direct snap, ran around the right end and gained 14 yards and the first down. Four plays later, the Patriots found the end zone on the first of five touchdowns in a 35-17 victory over the visiting Miami Dolphins. The Patriots very well still could have trounced the Dolphins to improve to 9-2 on the season while extending their win streak to seven games. But the play indeed sparked New England offensively and energized Belichick’s players. The very next play after the fake punt, running back Dion Lewis picked up 13 yards on a run up the middle. The play after that, Tom Brady threw a 39-yard play-action pass to wide receiver Phillip Dorsett, and two plays after that, running back Rex Burkhead scored from 2 yards out – one of two on the day – to give New England a 7-0 lead. The Patriots found the end zone again seven minutes later when Brady connected with tight end Rob Gronkowski for the first of two touchdown receptions on the day. Indeed, the Patriots were rolling, and the Dolphins had no answer. New England went a perfect five-for-five in the red zone. The offense generated 417 yards – including 196 on the ground as Lewis led the way with 112 yards on 15 carries. Brady notched four touchdown passes. The defense recorded three takeaways, and limited Miami to just 10 offensive points. Butler and a number of his teammates described Sunday’s victory as one of their most complete performances of the season. Miami got its first touchdown when early in the second quarter, center Ted Karras sent a shotgun snap back to Brady when the quarterback wasn’t looking, and Dolphins safety Reshad Jones scooped the ball up at the 14 and trotted in for the score. And Brady threw an interception later in the second quarter while forcing a throw to Danny Amendola. But the Patriots proved resilient. A nine-play, 78-yard scoring drive capped by a 1-yard touchdown pass to Burkhead followed the Dolphins’ defensive score. And although Miami took the interception and threatened to score after moving the ball to the 15-yard line, New England’s defense cleaned up the mess. Cornerback Stephon Gilmore picked off Matt Moore’s pass to deny the visitors with 16 seconds left in the first half. Indeed, New England’s defense gave the Dolphins fits all game. A forced fumble and interception, plus seven sacks (six in the second half) and a 1-for-3 showing in the red zone, gave the Patriots reasons to smile. It marked the seventh straight game in which New England’s defense has held an opponent to 17 points or fewer, a feat only four other teams have managed in the last decade. And for a unit that early in the year looked like the Achilles’ heel of this team, such a streak proves encouraging. Meanwhile, Lewis and his offensive linemen drew similar encouragement from their contributions. Everyone knows that this is Brady’s offense. But the running backs and linemen relish the opportunity to pound the rock early and often. The 196 rushing yards represented a season high, and the 112 rushing yards gave Lewis the first 100-yard game of his six-year career. Belichick and his players talked about a need to eliminate some of the lapses in execution that slowed their production. But as a whole, the Patriots say they're rounding into form at just the right time. Sunday began the first of a three-game divisional run. Road games at Buffalo and Miami follow the next two weeks, followed by a road clash with the Steelers, a rematch with the Bills and the season finale against the Jets. “With five games to play, it’s a good place to be, and we just have to keep showing up and put the work in,” Brady said. 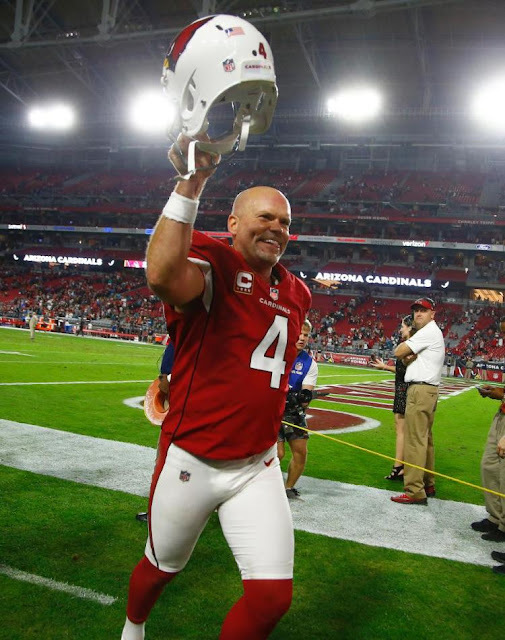 GLENDALE, Ariz. -- Phil Dawson kicked a career-long 57-yard field goal with one second remaining in regulation to lift the Arizona Cardinals to a 27-24 victory over the Jacksonville Jaguars on Sunday at University of Phoenix Stadium. Dawson made all four of his field-goal attempts on the afternoon, also connecting from 34, 42 and 48 yards. The win snapped a two-game losing streak for the Cardinals (5-6) and ended a four-game winning streak for the Jaguars (7-4). The Cardinals had a 13-point lead following Dawson’s third field goal with 11:29 remaining in the third quarter. But things started to get wild after that and momentum began swinging back and forth. First, it went to the Jaguars, who drove 75 yards on seven plays, capped by a 1-yard bootleg run by quarterback Blake Bortles for a touchdown to cut the deficit to 16-10. Jacksonville’s defense, the best in the league in scoring defense, sacks and forcing turnovers, then rose to the occasion. Linebacker Paul Posluszny knocked the ball out of Blaine Gabbert’s hands while the quarterback was under pressure and ex-Cardinals lineman Calais Campbell picked it up and returned the fumble 10 yards for a touchdown with 12:10 remaining to give the Jaguars their first lead at 17-16. Gabbert, though, found some redemption in going deep down the field on Arizona’s ensuing possession and finding Jaron Brown open for a 52-yard touchdown pass. 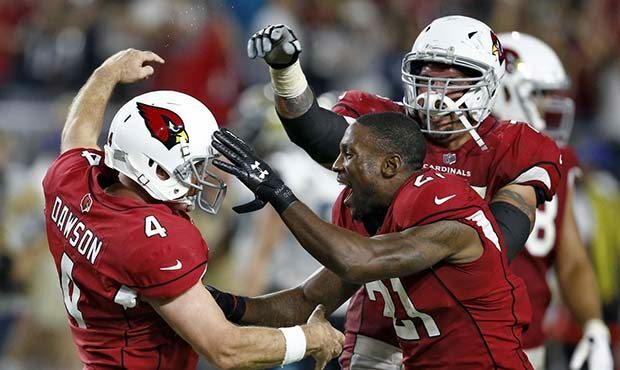 The Cardinals went for the two-point conversion and Gabbert hit Larry Fitzgerald to make it 24-17. The Jaguars tied it up thanks in part to a 68-yard kickoff return by Corey Grant. Four plays later, Bortles ran for another touchdown, picking up a perfect block from receiver Keelan Cole and scoring from 17 yards out to tie the score at 24. Bortles led Jacksonville in rushing with 62 yards on six carries. Dawson’s winning kick came after a critical 12-yard pass from Gabbert to running back D.J. Foster, who was pushed out of bounds and gave his kicker a chance to nail the winner. Gabbert, making his second start for Arizona, completed 23 of 38 passes for 241 yards, two touchdowns and one interception. He was only sacked once. Bortles was 19 of 33 for 160 yards with no touchdowns and one interception. After a slow start and getting virtually shut down by opposing defenses in his last two games, Cardinals running back Adrian Peterson finished with 79 yards on 20 carries. With a handful of runs in the third quarter, Peterson passed Hall of Famer Marcus Allen (12,243 career yards) for 13th place on the NFL’s all-time rushing list and also eclipsed Edgerrin James (12,246) for 12th place. With 12,275 career yards, he is now just five yards shy of surpassing Hall of Famer Marshall Faulk (12,279) for 11th all-time. Chandler Jones had two sacks for Arizona, giving him 13 on the year. He had five tackles for loss overall. The Cardinals led 13-3 at halftime thanks to Gabbert’s touchdown pass to tight end Ricky Seals-Jones and field goals of 34 and 42 yards by Dawson. Arizona scored on its opening possession as Gabbert completed four of his first five passes, including a 26-yard hook-up with Seals-Jones on third down, before having to settle for Dawson’s 34-yarder. Neither team could get much going offensively, and with the Jaguars driving into Cardinals’ territory early in the second quarter, running back Chris Ivory fumbled. Linebacker Josh Bynes forced it, linebacker Karlos Dansby recovered and five plays later, Dawson kicked his second field goal of the half for a 6-0 lead. After another tough defensive stand by Arizona, the Jaguars were forced to punt on their ensuing possession and four plays later, Gabbert hit Seals-Jones over the middle for a 29-yard catch and run for the score and a 13-3 lead. It was the third touchdown catch for Seals-Jones, an undrafted rookie free agent, in the past two weeks. The Cardinals lost starting inside linebacker Deone Bucannon in the first quarter to a right ankle injury. Bucannon missed the final three games of last season and the first three games of this season due to a severe ankle injury that required offseason surgery. FOXBORO — Rex Burkhead spent the bulk of his time in Cincinnati as a special teams player. In his fourth season, last year, he earned more opportunities as a backup running back, but the bulk of his playing time didn’t come until the second half of the season. After playing a career-high 238 offensive snaps a year ago, Burkhead entered Sunday with 113 through six games with the Patriots. There’s no question he’ll surpass last year’s mark if he stays healthy. 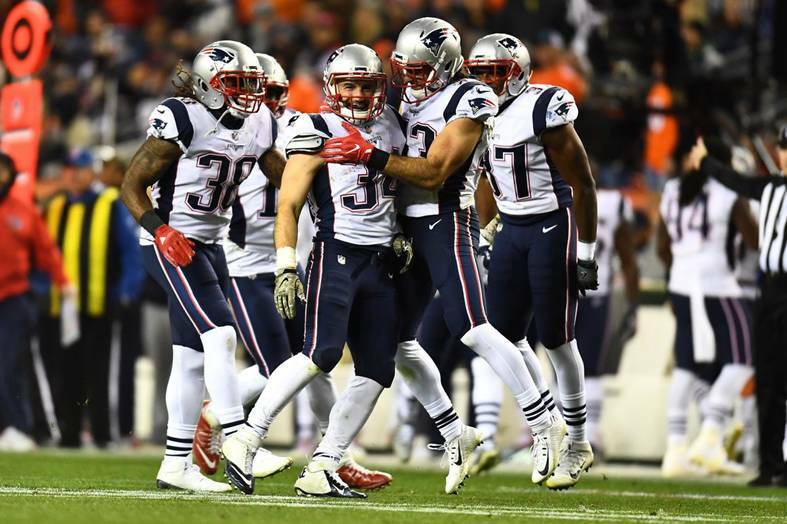 Sunday’s performance against Miami showed how valuable Burkhead is to the Patriots offense. Burkhead scored two touchdowns on Sunday to go along with 50 rushing yards (the second best mark of his career) and two receptions. The first score came on the first series as the back plowed into the end zone for a 2-yard score at 11:39 of the first. In the second quarter, Burkhead was rewarded after setting up a first-and-goal following his 22-yard run. At 8:29 of the second, Tom Brady threw him a 2-yard touchdown pass. The back’s ability to help both in pass and rush situations has created a nice complement with Dion Lewis, who ran for 112 yards on Sunday. EDEN PRAIRIE, Minn. (AP) The changes made to the offense in Minnesota for this season have helped propel the Vikings toward the top of the NFL, from a reimagined scheme to the running back replacements to a revamped line. There’s been no better enhancement than Riley Reiff. 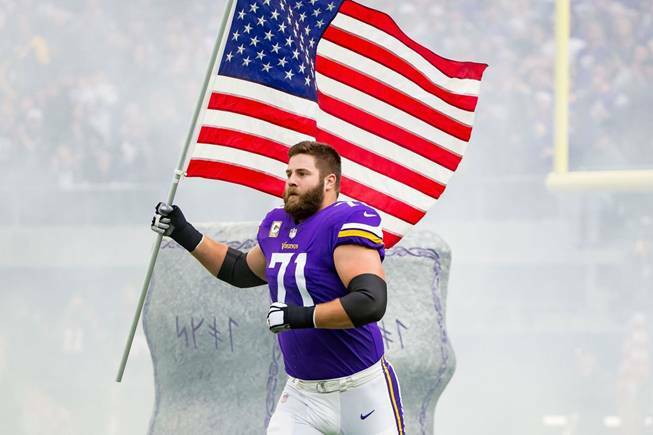 The hefty contract the Vikings gave him in free agency has been well worth the salary cap space for a left tackle who has started all 10 games and has yet to allow a sack. ”Riley’s just a good, hard-working, lead-by-example guy, everything you want from an offensive lineman,” right guard Joe Berger said. Reiff took over as Detroit’s left tackle midway through his rookie year in 2012, when he was drafted in the first round out of Iowa. He kept that spot until last season, when the arrival of rookie Taylor Decker, another first-round draft pick, triggered a move to right tackle. The Lions let his contract expire, and the Vikings, so desperate to upgrade their most problematic position in 2016, gave him a five-year deal in free agency worth as much as $58.75 million. Reiff will play his first game at Ford Field on Thursday as a visiting player, when the Vikings take on the Lions in a pivotal NFC North game. ”I’ve got a lot of good friends up there. It’s a tough place to play. I’m excited to go up there,” said Reiff, who’s the softest-spoken member of an offensive line that’s as low-key and spotlight-averse as can be. Reiff was hardly Detroit’s trash, solidifying a critical position for one of the league’s most potent passing attacks, but he sure has been Minnesota’s treasure. The Vikings (8-2) have already faced the Lions (6-4) this season. The 14-7 defeat at home on Oct. 1 was Minnesota’s last loss, actually, thanks to three lost fumbles and a ferocious performance by Detroit’s defense that featured two sacks by Anthony Zettel. Pressure such as that on the quarterback last season was the primary reason why the Vikings collapsed following a 5-0 start. They used five different left tackles, with season-ending injuries sidelining Matt Kalil and Jake Long and opposing pass rushers overwhelming T.J. Clemmings. Jeremiah Sirles and Rashod Hill also saw time there. Reiff’s presence as the bulwark protector of Case Keenum’s blind side has set the tone for this vast improvement by the group, with rookie center Pat Elflein also manning a key role and the 13-year veteran Berger playing as well as ever. Offensive coordinator Pat Shurmur has engineered a shift toward more zone blocking than man-to-man assignments, and an overall increase in athleticism for this unit has helped fuel a resurgence by the running game as well. The protection of Keenum, who dodged a couple of likely sacks with his own awareness and mobility, helped the Vikings fend off one of the best players in the NFL in Aaron Donald and a dangerous Los Angeles defense on the way to a 24-7 victory on Sunday over the Rams. The Vikings have the league’s best sacks-per-pass-attempt rate at 2.91 percent, with only 10 allowed in 344 opportunities. Since Keenum replaced the hobbled Sam Bradford late in the first half at Chicago on Oct. 9, he has only been sacked once in 5+ games. Trey Flowers is comfortable as an edge rusher or dropping into coverage. FOXBOROUGH — Brendan Daly has evaluated a variety of defensive linemen since he began coaching the position in the NFL in 2006. Some possess a rich football knowledge, instinctual-type players who have a knack for making plays. Others are strong fundamentalists, which helps make up for what they lack in football acumen. The outlier has a grasp of both smarts and skill, which is how Daly classifies Trey Flowers, and it explains why the Patriots defensive line coach was crushed when a shoulder injury shortened Flowers’s rookie season to one game in 2015 – the same year Daly was promoted from an assistant role. Two years later, Flowers has transformed from a rookie bubbling with potential to the centerpiece of the Patriots defensive front. He has taken a step from last season, when he primarily played on the right end, and is now trusted to plug a variety of roles. 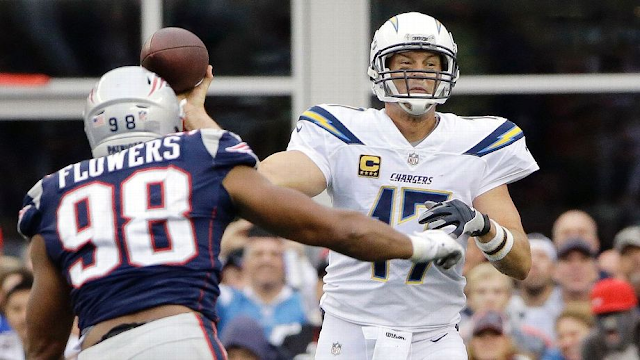 Consider the Patriots’ first defensive series against the Chargers in their 21-13 victory before the bye week. Flowers began on the left edge in an upright stance and dropped into coverage to defend the flat. On another play, he flipped to the right side to rush from a traditional three-point stance. Then, defending on third and 17, Flowers lined up over center Spencer Pulley and rushed quarterback Philip Rivers. “Just to be able to handle that, you’ve got to be in the playbook, understand the scheme,” Flowers said. “You’ve just got to understand you’ve got to change your mentality if you’re inside or outside or standing up or hand in the dirt. Understanding the scheme has always come naturally to Flowers, whose football knowledge was evident even during his college days at Arkansas. When Bret Bielema took over at Arkansas in 2013, Flowers, then a junior, stunned the new coach during a simple cognitive exercise. “Before our games, we’d give our players tests,” said Bielema. “Most commonly among the defensive ends, when I’d draw the formation, they’d draw the ‘E’ where they were supposed to be aligned. Flowers’s ability to diagnose blocking schemes, as well as his sound technical skills, have made him a go-to problem solver in the locker room. Rookie Deatrich Wise, who also played at Arkansas with Flowers, picks his teammate’s brain regularly about certain coverages and the finer details of the Patriots defense. Adam Butler, the rookie defensive lineman who has a locker next to Flowers’s, craves the technical tips. Flowers is 6 feet 2 inches, 265 pounds, but can use his reach to create leverage against bigger opponents — a common technique among edge rushers. Flowers gets that extension better than most, which is why Butler, who as an interior lineman is less likely to rely on the technique, was so eager to adopt it. “He’s just one of those guys who is in a class of his own,” Butler said. “Some of the stuff he does, I don’t want to say it’s unorthodox, but it’s unique to him because of his body frame. As soon as the ball is snapped, he’s playing with extension. After Flowers’s breakout 2016 season — he recorded seven sacks in the final nine games of the regular season and 2.5 in the Super Bowl, including a pivotal one in the fourth quarter that helped push the Falcons out of field goal range — the Patriots felt comfortable asking him to do more in the defense. They did not re-sign Chris Long, who played the most snaps by a Patriots defensive lineman in 2016, or Jabaal Sheard, who played the fourth-most. A sequence of unexpected events diminished the Patriots’ depth on the edge. Rob Ninkovich retired in June. Rookie Derek Rivers, drafted in the third round, tore an ACL in the preseason. Veteran Kony Ealy, who had been acquired last March in a trade, was cut Aug. 26. Suddenly Flowers, who turned 24 in August, was the most experienced defensive end in the Patriots system. A season-ending knee injury in Week 7 to linebacker Dont’a Hightower, who had transitioned to play the edge more this season, exasperated the Patriots’ depth issues. Through eight games, Flowers has been on the field for 482 snaps, just 81 shy of his total all of last season. According to Pro Football Focus, Flowers has dropped back in coverage on 33 snaps, seven more than he did all of last season. “There’s an argument to be made as well he might be playing too many snaps,” Daly said. “I think that’s something you always look at and monitor. The thinning defensive depth has put the Patriots in a precarious situation, but Flowers’s versatility has helped triage a variety of issues. Here are the winners and losers from the New England Patriots’ win over the Denver Broncos on Sunday night in Week 10. Rex Burkhead, RB: Not only did he score a receiving touchdown, but he also blocked a punt. That’s versatility you rarely see from a running back. He had 10 rushes for 36 yards and three receptions for 27 yards along with that touchdown catch. Below are the Patriots' final snap counts on offense and defense in their win over the Broncos. The game ball goes to running back Rex Burkhead in this one. Burkhead delivered an all-around performance making key contributions on both offense and defense, but the surprise scratch of fellow running back Mike Gillislee created the opportunity for Burkhead in the Patriots' backfield. Burkhead played a season-high 36 snaps and has seen an uptick in playing time since returning from injury in Week 7. 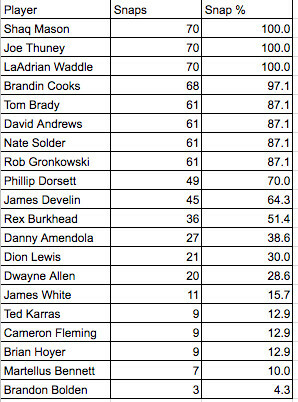 However, Burkhead wasn't the only player in the Patriots' backfield to see more playing time against the Broncos. The Patriots opted to go heavy on Sunday night with fullback James Develin tallying a season-high 45 snaps. Develin's usage continues to rise as the Patriots have morphed the offense into a power-run unit over the last few weeks. In terms of pass catchers, there are two performances of note from a playing time perspective on offense. First, in his return to New England tight end Martellus Bennett logged 7 snaps. Bennett caught three passes for 38 yards in his return, including a 27-yard reception in the first half. Second, with Chris Hogan inactive due to injury, wide receiver Phillip Dorsett played a season-high 49 snaps. Dorsett had just two catches for 16 yards in those 49 snaps but was one of just three Pats wide receivers to see the field along with Brandin Cooks and Danny Amendola. Finally, the Patriots did indeed empty the bench a bit on offense on their final possession of the game. Backup quarterback Brian Hoyer, fourth tackle Cameron Fleming, running back Brandon Bolden, and center Ted Karras all saw time in the blowout win. He may be quiet off the field, but Reiff’s play on the field is, to me, the keystone at the very foundation — offensive line — upon which this team sits heading into Sunday’s Week 10 game at Washington. “You easily could make an argument for Riley being the MVP,” backup guard Jeremiah Sirles said. And what better week to do so? The 2016 Vikings also spent Week 10 at Washington. By that time, they were down to Jake Long as their third starting left tackle, and Sam Bradford had the pile of sacks to prove it. Three plays from the end of that game, Long tore his Achilles’ tendon. Sirles rushed onto the field as the team’s fourth left tackle in nine games. It was fourth-and-17 from the Washington 28. Eleven seconds remained. The Vikings trailed 26-20. The Vikings fell to 5-4 after starting 5-0. By the end of their 3-8 free fall, five people had lined up at left tackle in what became a swinging gate to Bradford’s blind side. Reiff has started every game, played all but one quarter, allowing zero sacks. He’s the leader of a rebuilt line that has allowed the passing game to rank 14th with backup quarterback Case Keenum playing all but six quarters, and the running game to stay in the top 10 without Dalvin Cook. Yes, this remains a defensively oriented team with superstars on that side of the ball. But we found out late last year that its dominance fades dramatically without a functional offense to keep it fresh. With the Vikings sitting atop the NFC North at 6-2, people spent the bye week bickering about who is most deserving of midseason MVP. Never mind that it’s a team game. It’s sports in 2017 and we must argue while gouging each other’s eyes out! Too logical. Too calm. You’d make a terrible fan. I’ve seen several names thrown about. All deserving. Shutdown corner Xavier Rhodes. Sacks leader Everson Griffen. Re-energized Anthony Barr. Tackling machine Eric Kendricks. Do-everything Harrison Smith. Adam Thielen because he’s surprisingly good and someone on offense has to be mentioned, right? But there are five names I haven’t seen anywhere. They play offensive line. Four of them — Reiff, Pat Elflein, Joe Berger and Mike Remmers — have started every game for a team that burned through 12 linemen last season. Heading to Washington a year ago, the Vikings were averaging 2.7 yards per carry. This year, the average is 4.0. Last year, they had thrown 276 passes and been sacked 21 times. This year, they’ve thrown 277 passes and been sacked 10 times. Four of the five linemen who started last year’s game at Washington aren’t even on the roster this year. And the most criticized of those four, tackle T.J. Clemmings, now plays for Washington. Or tries to. As Washington’s third-stringer, he started his second game last Sunday. He gave up three sacks. Three more reasons to make Reiff the midseason MVP. 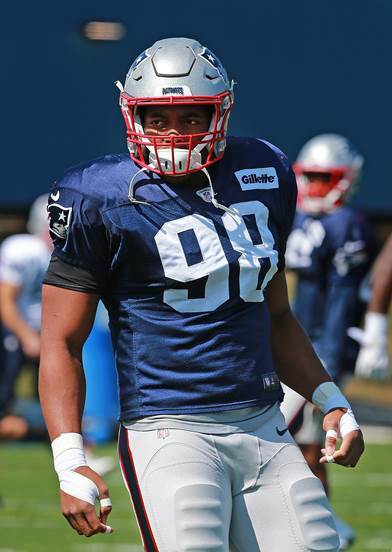 FOXBORO — Defensive end Trey Flowers capped the Patriots’ bye week with a four-day getaway to his family home in Alabama, during which time he rested, relaxed and recharged from a taxing first half of the season. It was a welcome and much-needed break mentally and physically for Flowers, who has performed at a Pro Bowl-worthy level when he has been out there — which is pretty much always — after his breakout campaign a year ago. Flowers’ ascension from unremarkable rookie to indispensable defensive disrupter has been incredibly impressive. 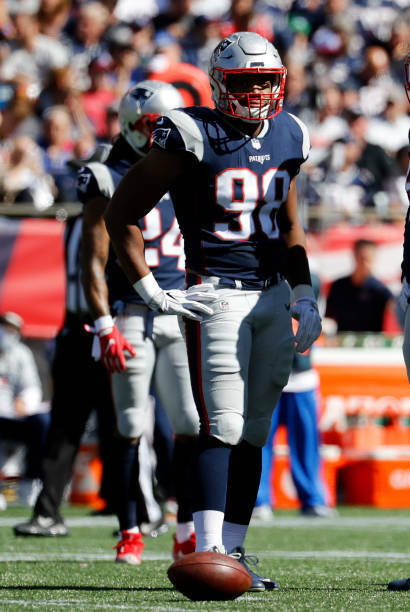 Drafted by the Patriots in the fourth round (101st overall) in 2015, Flowers played four snaps in his lone appearance as a rookie. He finished the year on injured reserve with shoulder and knee woes. However, the 6-foot-2, 265-pound Flowers made his presence felt last season, appearing in all 19 games and trending upward from September to February in terms of activity and impact. He earned 29.8 percent of the defensive snaps in the first half of the season, 40.6 percent in the second half and 86.6 percent in the postseason. Along the way, he recorded a team-high seven sacks over the final nine games of the regular season and added 2½ sacks in Super Bowl LI. “His understanding of what we do, I think it’s along the natural progression,” defensive coordinator Matt Patricia said. “There’s not that many guys that just come in ... play all the snaps immediately. So he’s a guy that falls into that category. It’s been more — make that much more — of the same in his third season. Flowers played 91.1 percent of the snaps in the first eight games, helping the Patriots to six wins. He’s collected 36 tackles, 3½ sacks, an additional 9½ quarterback hits, a pass defensed, and, whew, a forced fumble. All that while never taking a play off. Flowers has a better motor than a McLaren F1 and puts out more energy than National Grid. While Flowers regularly stuffs the stat sheet, he also frequently influences plays that others end up finishing. Think back to linebacker Kyle Van Noy tackling receiver Taylor Gabriel for a 5-yard loss on fourth and goal early in the fourth quarter of a win over the Atlanta Falcons in Week 7. Afterward, Van Noy credited his free path into the backfield to a block Flowers made at the line of scrimmage. It’s all about taking what Flowers hears from his coaches and sees on film over the course of a week and translating it to the field during a span of three hours on Sunday, Monday or Thursday. “Say I’m in there and hear different communication within the O-linemen, I can just call something to kind of put our defense in the right position to make plays or the right position to be productive on that play,” Flowers said. Rested and relaxed, Flowers is ready for the second half of a season that has seen him to play a lot and make a lot of plays while becoming arguably the Patriots’ most important defender. 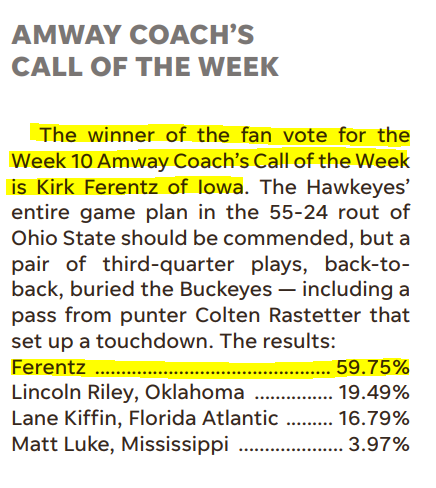 "One of the best football coaches at any level"
o. Iowa’s Kirk Ferentz is one of the best football coaches at any level, and I don’t just say that because of the 55-24 wipeout of Ohio State. Parents who have high school prospects should want to send their kids to play for Ferentz, and not just for the winning. He wins, he loses, he develops people. Unlike, say, the Oscars, Grammys and NFL Honors, the Blitzies mean something. The Herald’s sixth annual midseason awards have gained universal respect, and it’s not just another award show that puffs out its chest and tells everyone to love it. So if you couldn’t get tickets into the sold-out event or you missed the live coverage on TV, here’s a recap of the 2017 Blitzies. Quarterback Tom Brady won this award for the sixth consecutive time, to the point where the committee had to change the name last year. The 40-year-old has been so good that the Patriots traded both of his backups, and he’ll be in the MVP conversation in December for the eighth consecutive season. Brady leads the NFL in completions (206), attempts (309) and yards (2,541), and he has 16 touchdowns to two interceptions. The one-man wolf pack is on pace for the second 5,000-yard season of his career. Tight end Rob Gronkowski is being challenged unlike any season of his career without Julian Edelman to take the pressure off him over the middle, but Gronk is second on the Patriots with 34 catches and 509 yards, and he is tied for the lead with five touchdowns. Defenses are doubling him with more aggressiveness and physicality, and Gronk isn’t getting much relief because backup Dwayne Allen has been a non-factor. Gronk’s teammates are benefitting from his presence, and if he plays the final eight games at this level, he could be a first-team All-Pro and earn that full $10.75 million salary. Defensive lineman Trey Flowers encounters a steady stream of double teams, but he is still consistently the Patriots’ best pass rusher even though the sacks are down. He is tied for the team lead with 3.5 quarterback takedowns, though he doesn’t have one since Week 5, and he also has a team-best 11 quarterback hits, nine pressures and two batted passes. But wait, there’s more: Flowers has a forced fumble, two run stuffs and a drawn holding penalty. Running back James White was a healthy scratch in 16-of-19 games as a rookie, and he is on his way to another record-setting season. White broke out last year, so the “most improved” label might be more of a lifetime achievement award than anything specific to this season. But really, it comes down to this: White was a complementary piece last year, and he is now a certified weapon. White leads the Patriots with 43 catches to go along with 365 yards and a touchdown, and he could be the first running back in the Tom Brady era to lead the Patriots in receptions. Tony Collins caught 77 passes in 1986 to set the franchise record for catches in a season by a running back, and that could fall soon. The Patriots acquired cornerback Johnson Bademosi from the Lions prior to Week 1 to fill Matthew Slater’s role while the special teams captain was recovering from a torn hamstring. The five-year veteran had three starts on his resume and wasn’t used on defense this season until Week 6, when he leapfrogged Jonathan Jones and filled in for a concussed Stephon Gilmore. Bademosi’s physicality was well-established, but he really impressed his teammates with his defensive intellect. Quarterbacks throwing in his direction were 9-of-12 for 104 yards, and he added a third-down pass breakup. The Patriots were probably concerned about their depth at corner with Gilmore and Eric Rowe (torn groin) out, but Bademosi added confidence in case he is needed again. Running backs coach Ivan Fears has been instrumental in White’s development and had to keep Dion Lewis’ confidence intact early in the season when the offense looked elsewhere. 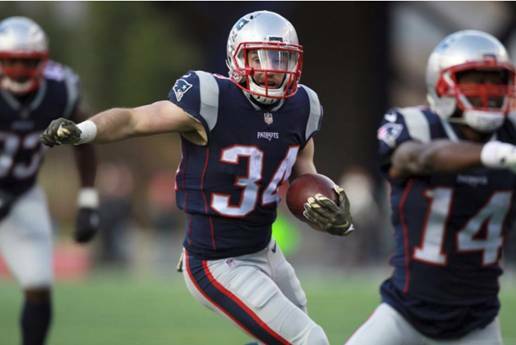 The Patriots also had big plans in store for Rex Burkhead before his Week 2 rib injury. All the while, Mike Gillislee still leads the Pats with 98 carries, 344 yards and four touchdowns. The Patriots rank 15th in rushing, and White, Lewis and Burkhead have combined for 65 catches, 551 yards and two touchdowns. When the defense was struggling, who did they call for help? Gronk, obviously. Rob Gronkowski soared with the seagulls to break up Deshaun Watson’s Hail Mary in the end zone to close out a wild victory against the Texans. Bill Belichick’s decision to trade Jimmy Garoppolo was shocking, and no one will know for quite some time if it was the right call. In the short term, Tom Brady will need to stay healthy despite already being banged up and barreling toward a career-high 42 sacks. In the long term, if Brady does indeed continue to play at a high level — or just close to it — for another five years, it really won’t matter what Garoppolo turns into with the 49ers. It won’t look like such a great move if Brady goes down this season and Brian Hoyer can’t keep the playoff seeding intact, or if Brady only plays for another couple years and Garoppolo turns into a star. But again, there’s no way to forecast any of that right now and Garoppolo wasn’t going to sign an extension to be a backup, regardless of the money involved. Wide receiver Brandin Cooks is the fastest weapon at Tom Brady’s disposal since Randy Moss, and the speedster has paid dividends with 33 catches for a team-high 563 yards and three touchdowns, including the nifty game-winner against the Texans. Cooks has a chance to set a career high in receiving yards, and his 17.1 yards per catch is on pace for the best mark of his career and leads the NFL among players with at least 30 catches. To think, he should be even better in the coming months. Defensive end Deatrich Wise has been a godsend for a defensive edge that lost Jabaal Sheard and Chris Long to free agency, Rob Ninkovich to retirement, Derek Rivers to a torn ACL, Shea McClellin to an injury and Kony Ealy to misguided expectations. Wise is third on the Pats with three sacks, plus second to Flowers with 10 quarterback hits and seven pressures. He also has a run stuff, batted pass and drawn penalty. Something to monitor, though: Wise’s playing time skyrocketed the past three weeks and his production dipped, so it’s vital to keep him as fresh as possible. Offensive line coach Dante Scarnecchia said he, his line and Bill Belichick aren’t happy with the group’s performance this season, which should be obvious considering the beating Tom Brady has taken. It’s even more shocking because they’ve got the same group as the successful unit from 2016. Nate Solder, who is clearly dealing with some personal challenges, allowed four sacks in the first three games but hasn’t surrendered one since then. Marcus Cannon got rolled up during the first series of the season and has allowed 6.5 sacks, which is already more than all of last year. Solder has been playing better, and maybe Cannon will benefit from some extra rest. If the tackles turn it around, it’ll make life easier for everyone. Cornerbacks Malcolm Butler and Stephon Gilmore have been inconsistent. The Patriots have gotten by without them at their best, but the bottom line is they need to get there in time for the playoffs to solidify an improved defense. Gilmore had his best performance while apparently playing through a concussion against the Buccaneers, so he was trending in the right direction before his three-game absence. Butler has allowed five touchdowns this season, one more than he yielded in 19 games in 2016, and the last three games have been a microcosm of his season. He has been largely brilliant, but he has given up a touchdown in each outing — no one would blame him for the Julio Jones catch. Butler just has to shake off that one bad play per game. FOXBOROUGH, Mass. 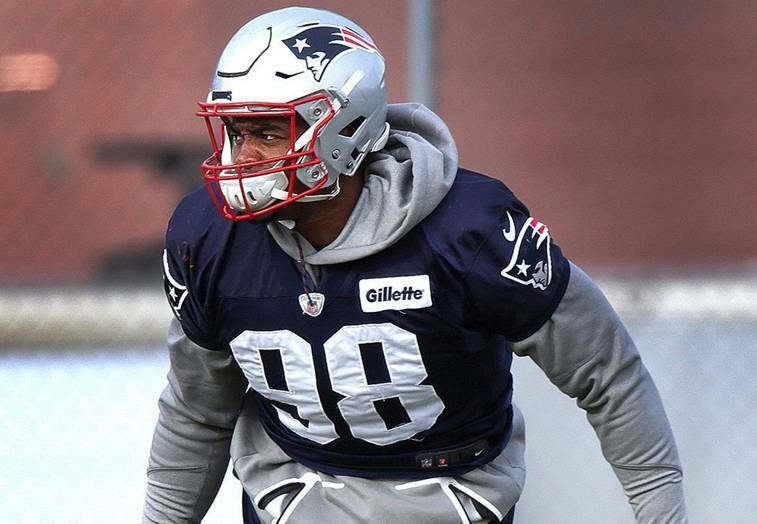 -- When looking at the New England Patriots’ defense at the midpoint of the season, and using playing-time statistics as a prism to do so, one thought jumps to the forefront: Where would the Patriots be without defensive end Trey Flowers? The 2015 fourth-round draft choice has led the way at arguably the thinnest position on the roster, and his continued health will be critical for the team in the second half of the season. Patriots followers could always count on the edge being set with Mike Vrabel and Rob Ninkovich, but that hasn’t been a guarantee this year. It’s why the potential return of the retired Ninkovich has been speculated in media circles, especially after third-round draft choice Derek Rivers tore his ACL in the preseason, linebacker/end Dont’a Hightower tore his pectoral muscle Oct. 22, and trade acquisition Kony Ealy didn’t pan out. Wise has been Patriots’ most productive rookie, with his primary competition coming from undrafted defensive tackle Adam Butler. His work against veteran tackle Russell Okung in Sunday’s win over the Chargers highlighted how his long arms and developing pass-rush repertoire can give even experienced blockers some problems. He looks like a keeper. Meanwhile, Marsh’s best fit appears to be as a nickel rusher. When asked to hold the edge on early downs, there have been some struggles. Brown, the 2015 first-round pick, has notably improved from last season while Branch was a healthy scratch in Tampa Bay on Oct. 5 but has rebounded to contribute in what is essentially a three-man rotation with Guy and Brown. Butler is learning on the job and appears to have a promising future. Van Noy’s emergence as a signal-caller and every-down player wasn’t projected coming into the season, but Hightower’s injuries (knee, then pectoral) played a part in it unfolding that way. Van Noy’s versatility to sometimes line up at the end of the line of scrimmage puts him in position to fill some of what Hightower did on D. Roberts is a disruptive run-blitzer and hard-hitter, while Harris is finally starting to see the field more; after playing just seven snaps in the first six games, he was on for 19 and 21 each of the last weeks. The play of Gilmore and Rowe early in the season wasn’t up to projected expectations, which led to some rocky moments. With Rowe missing the past four games (groin) and Gilmore the past three (concussion), it has helped build more depth and Bademosi has stepped in and played well, while Jones has twice been lauded by Bill Belichick for his knack for finishing plays. For those who say availability is as important as ability, what’s not to love about Butler? These are his playing-time stats each of the past three years: 98.8, 96.7 and 96.2. The latter number would be even higher if he wasn’t used as the No. 3 option against the Saints on Sept. 17. It’s hard to imagine there is another team in the NFL with three safeties who have all topped 80-percent playing time, which reflects what Belichick sometimes says: The Patriots run their big nickel (3 safety package) as much as any team in the NFL. Chung’s versatility to cover tight ends and receivers in the slot is an impressive aspect of his skill set. That’s not a typo: Gronkowski lands in this category after playing one snap, defending a late Hail Mary attempt from Deshaun Watson. It was an unlikely friendship from the start, but then again, many of the best are. A 6-year-old boy and his favorite University of Nebraska running back spent a day together in the fall of 2011 -- eating lunch, touring the football facilities and racing on the field. As a kid growing up in Nebraska, Jack Hoffman looked up to Rex Burkhead as his role model on the football field, but just months after his family gave him his first Burkhead jersey, Rex would come to mean so much more. When he was just five-years-old, doctors found a brain tumor and were unable to remove the entire tumor safely. So before Jack's second brain surgery in Boston, his family took a chance. They reached out to the University of Nebraska to see if Jack could meet Rex, and that afternoon together cemented a friendship that neither could have predicted. Six years later, Rex runs as an NFL player, still wearing the red bracelet Jack gave him the first time they met that reads, "Team Jack Pray." Jack and the Hoffman family still play a huge role in Rex's life and vice versa, as Rex sits on the board of directors of the Team Jack Foundation, and last Sunday when the Patriots took on the Los Angeles Chargers, the Hoffman family was there to cheer him on. 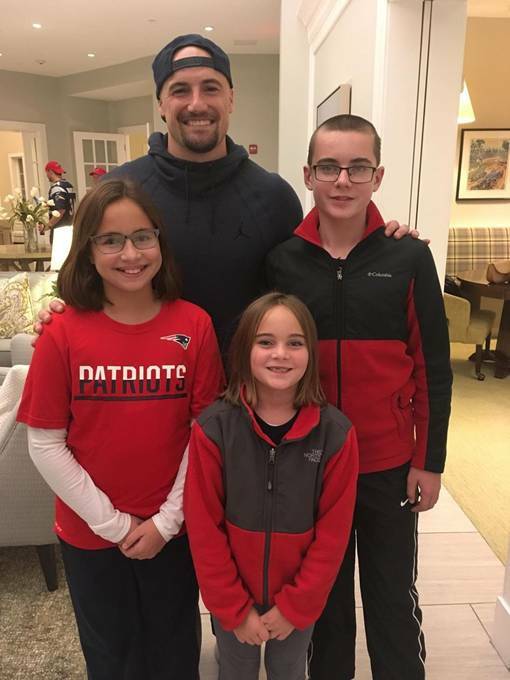 Jack had another MRI scheduled in Boston, and his dad Andy said they planned it so they could be at Gillette Stadium, their first time at a football game in Foxboro. As the skies opened up before the game, the Hoffmans stood on the sideline, putting on ponchos and taking in the moment. “It’s really just an amazing experience to be able to tie all of this together. Rex has been a very special part of our journey as a family. He’s been with us starting with some of the darkest days of our lives,” Andy said. Back in 2011, just days before Jack’s second surgery, Rex and the Huskers were trailing to Ohio State late in the game. With Jack as his motivation, Rex pushed himself, scoring two fourth quarter touchdowns to help Nebraska comeback with a win. And while the Patriots didn’t need a comeback on Sunday, Rex had one of the best games of his NFL career, catching all seven passes thrown his way for 68 receiving yards. He career highs in both of those categories, and all with Jack and his family cheering from the stands. For Rex, the friendship he has forged with Jack and his family has been an inspiration. The connection goes far beyond the football field. As a board member for the Team Jack Foundation, Rex has used his platform to raise awareness for pediatric brain cancer, hosting fundraisers and even using the NFL’s My Cause My Cleats initiative to shine a light on it. To learn more about the Team Jack Foundation, visit its website.